Improved durability and increased steering wheel cut off angle. This will allow for a higher steering angle at full steering wheel lock. All for a reasonable price. Tein tie rods are designed to be stronger than original equipment found on the 240SX (S13 and S14). During hard sport driving, breaking and bending of the tie rods will now be reduced. Tein tie rods are adjustable to give you more steering angle at full steering wheel lock. 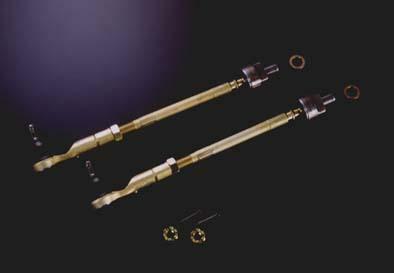 Original equipment tie rods offer limited steering wheel rotation, while Tein tie rods allow for increased rotation. Tein tie rods can be adjusted for more steering angle for when you counter steer. This will in turn create deeper drift angles.